Meet your customer's requirements for great service and manage your sales and bottom line at the same time. 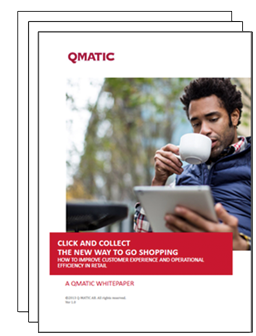 Read our comprehensive white paper on "Click and Collect for Retail: The Challenges and Opportunties." Learn what tools you should put in place at your stores to optimize the customer journey. "Click and Collect can be a wonderful experience for both the retailer and the customer. Wrongly managed though it can mess up more than it provides value."